A tree born from the seed of love will grow strong and tall. 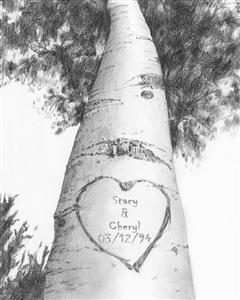 This personalized pencil sketch print is the perfect artwork to commemorate new and old loves alike. It also makes a great traditional first anniversary gift! A myDaVinci exclusive as always.